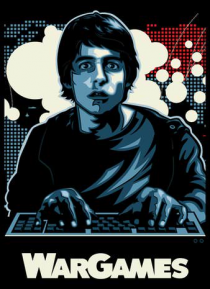 Computer hacker David Lightman can bypass the most advanced security systems, break the most intricate secret codes and master even the most difficult computer games. But when he unwittingly taps into the Defense Department's war computer, he initiates a confrontation of global proportions - World War III! Together with his girlfriend and a wizardly computer genius, David must race against time to… outwit his opponent...and prevent a nuclear Armageddon.